ThinkLA is a proud promotional partner of Empowership, a robust program that supports, trains and grows women in media, marketing and advertising. Enrollment for Empowership is open now for a June 2019 program start. See below for additional details and enrollment instructions. EXCLUSIVE OFFER for ThinkLA members: Enroll 5 or more women into Empowership and receive a 15% discount. Empowership is a one-year, remote-access learning and development program that builds leadership competencies from the inside out. It addresses the internal drivers that women say hold them back: confidence, work/life balance, their inner critic, and authenticity, as well as the drivers that limit external success - personal presence, organization, management, and negotiation. 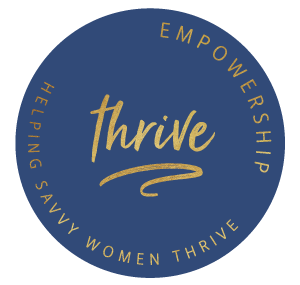 Through webinars, group calls, Q&A sessions with industry experts, digital resources, and a peer forum, Empowership empowers women to thrive in all areas of their lives. When you enroll 5 or more employees, we offer bulk enrollment. To use bulk enrollment click the button above that says “download form to enroll 5 or more women now”. Following the download, you’ll receive an excel sheet containing further instruction. If you have any issues please send an email to admin@empowership.me. It was a seamless year. Click below to set up a short call or email us at admin@empowership.me.